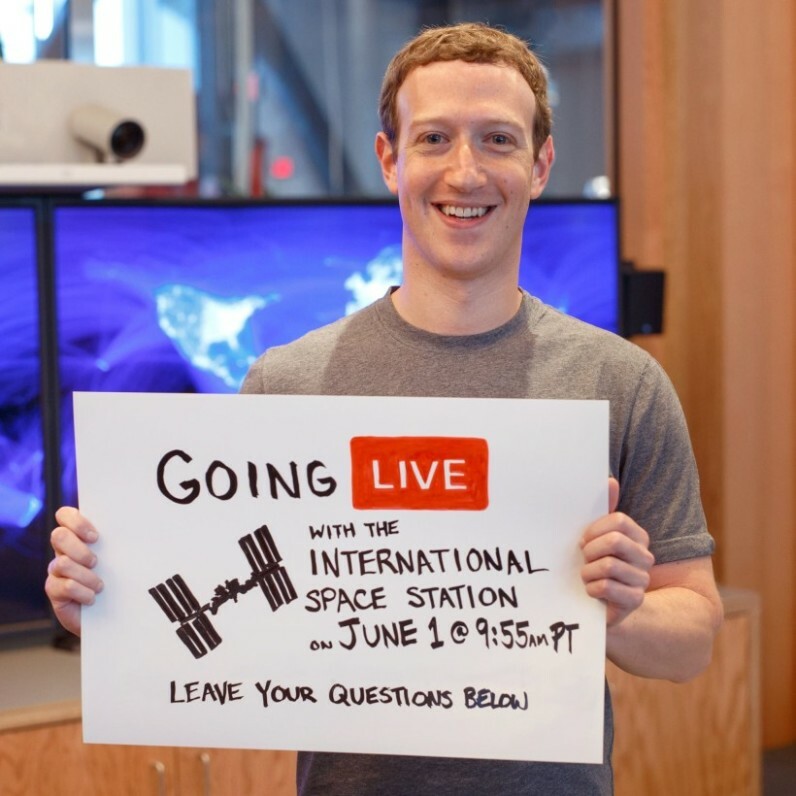 Facebook CEO Mark Zuckerberg will be conducting the company’s first live Q&A stream from space with the International Space Station this week. Zuck isn’t actually going to space himself – instead, he’ll be streaming from the Facebook headquarters and asking the astronauts up at the ISS questions from followers. The Facebook Live video is expected to start at 9:55 AM PT on June 1st. The call is expected to last just about 20 minutes, however, so if you have a question you really want answered, best submit it now to Zuck’s page and hope that it gets enough attention. As an aside, doesn’t the “Going Live” on Zuck’s poster look like YouTube’s logo? Read next: Writer’s block is a phony, made up BS excuse for not doing your work.